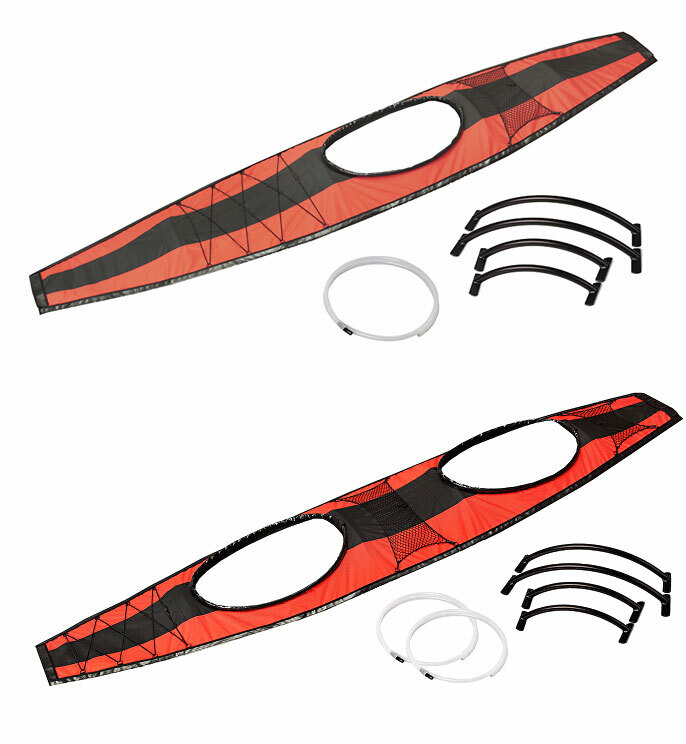 Fast tandem touring inflatable kayak with flexible seating arrangements. 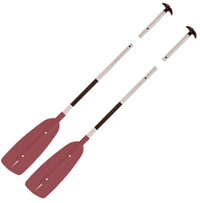 Can be paddled solo, tandem or with 3 paddlers. 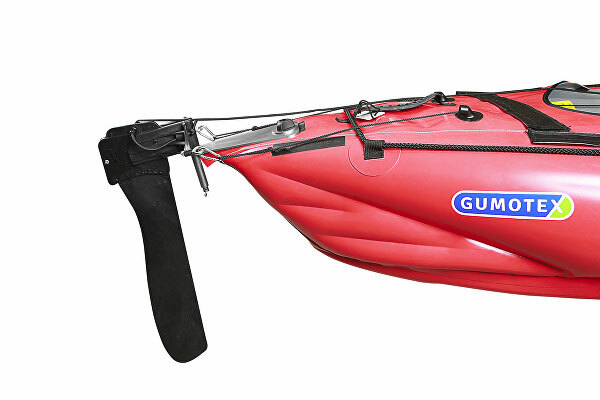 The Gumotex Seawave is a long and narrow inflatable kayak for paddling on flat or coastal water, which also excels in white-water. It is super versatile and can be adapted for each trip to be paddled as a solo, tandem or three-man kayak. As with all Gumotex craft, the Seawave is a very tough kayak. It's tough construction, combined with it's long and narrow shape make it fast and fun on flat water, but also allow it to navigate whitewater rapids with ease. It has a keel type hull significantly improving performance in windy conditions, but you can also add a rudder for added control. The Seawave is constructed in a modular design, meaning you can choose additional deck covers in either a one, two, or even three man template and move the seats around accordingly. This makes for a super versatile craft which has a setting for every occasion. Material composition: high strength PES fibre with an outer layer of synthetic rubber and inner layer of a mixture based on natural rubber. The material is highly resistant to abrasion, aging and UV. 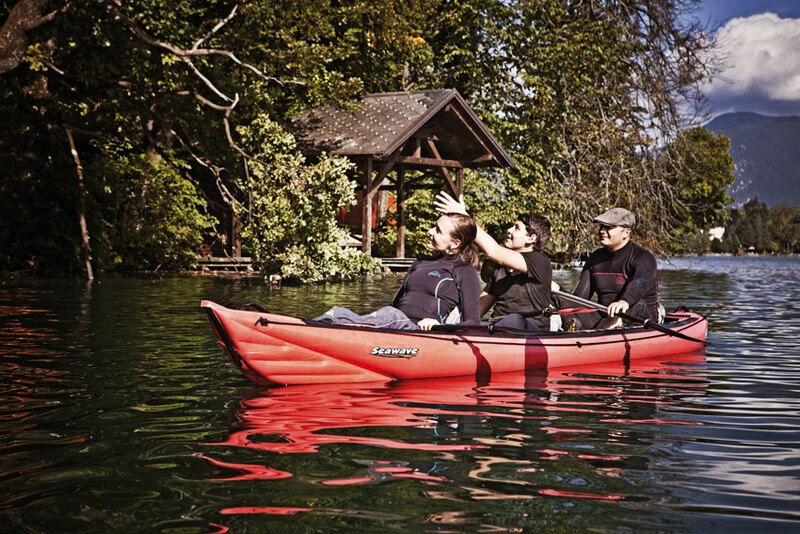 The Gumotex Seawave is availbe as a kayak on it's own or as a set. 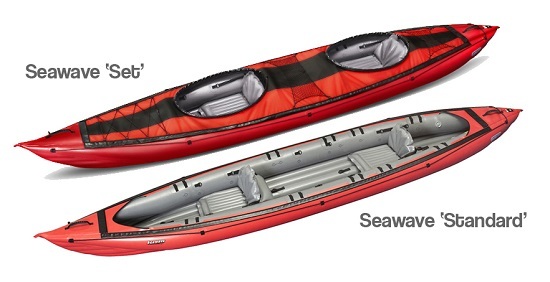 The Set Includes the kayak, an extra seat, rudder and deck covers. 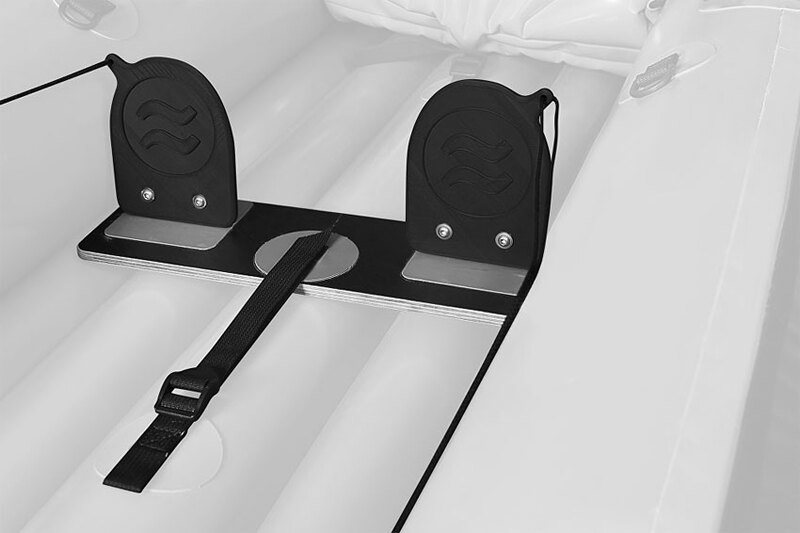 Spray skirt for SWING, SEAWAVE and FRAMURA kayaks made of water-resistant nylon. Adjusted on the front side . The skirt fastener is at waist level. The braces have adjustable straps. 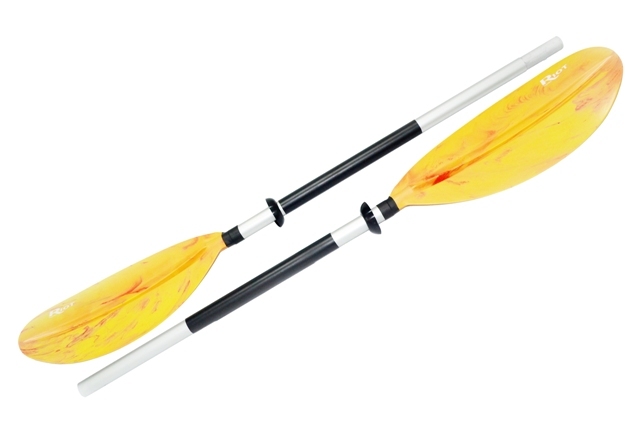 Split kayak paddle that is easy to transport and store. 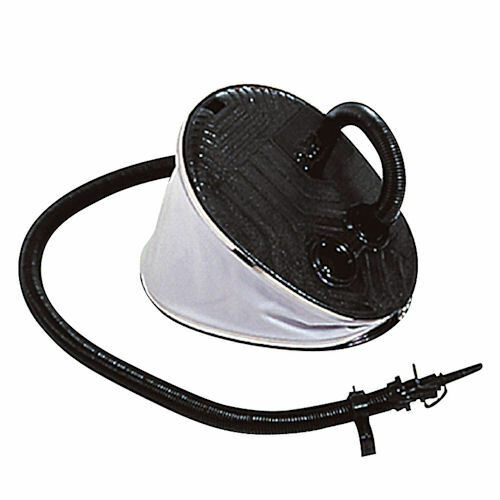 Ideal for use with inflatable kayaks. Kayak paddle that can convert in to 2 canoe paddles. 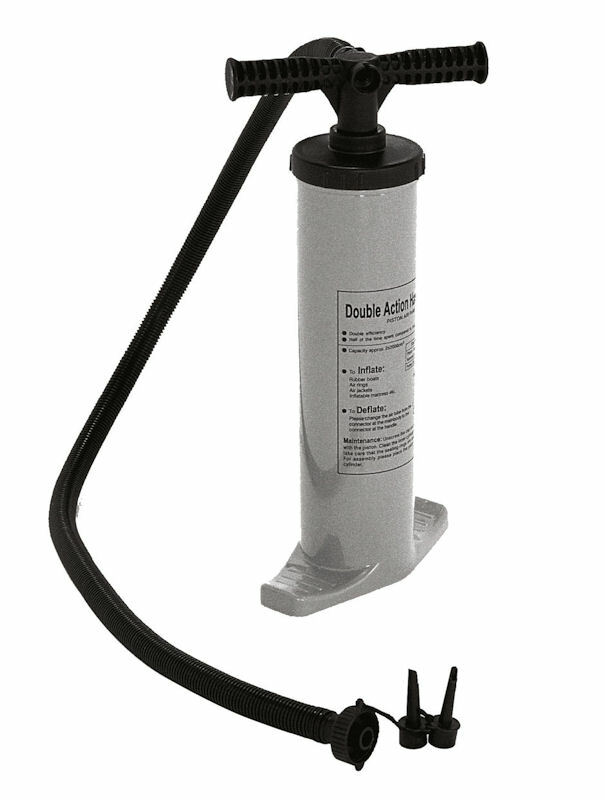 Ideal for use on inflatable kayaks and canoes. 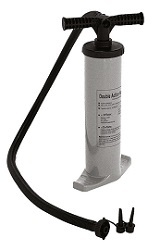 Hand pump that inflates on both the up stroke and down stroke meaning you can get out and paddle faster. We offer a delivery service for the Gumotex Seawave throughout the UK & Ireland to home and work addresses. Canoes and kayaks are normally delivered within 3-5 working days. Clothing and equipment orders are normally sent with on a next working day delivery service. 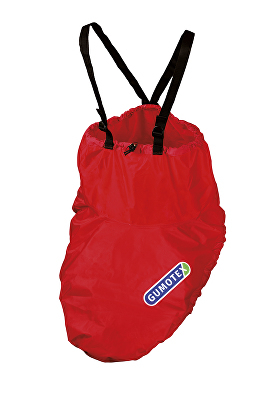 Buy a Gumotex Seawave online from our website and collect from our shop at Lee Mill, Plymouth, Devon or you can collect from any branch within the Canoe Shops Group. There is no cost associated with this.